By way of introduction we are USA's leading supplier of sous vide and vacuum packing equipment. We distribute all over the USA to aspirational chefs and foodies who enjoy cooking, who strive for consistency and accuracy whilst always looking to further refine their cooking skills. At sousvidetools.com our portfolio of products offers everything you would need for sous vide cooking commercially or domestically, from sous vide water baths, thermal circulators, vacuum sealers, vacuum packing machines and vacuum pouches. For customers starting out with Sous Vide cooking we also offer a full range of books that offer not only recipes but an insight into Sous Vide as a cooking technique. 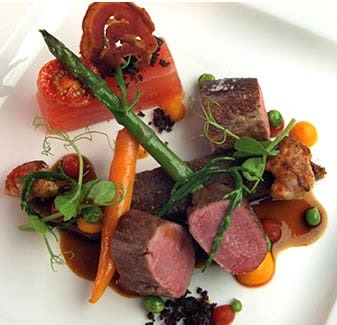 You will also find areas on our website that will give you an insight into the world of Sous Vide cooking, this will hopefully give ideas on how you can incorporate the technique into your own kitchen. We understand that with ever changing consumer demands your business has to constantly adapt to meet its customers’ needs. For this reason sousvidetools.com understands the fundamental science of advanced culinary techniques so that together we can deliver your customers an experience they’ll definitely remember. Backing up the science, our team has a wealth of experience in sous vide cooking and vacuum packing, which allows us to offer top level sales and technical support. We are particularly committed to offering a “one-stop-shop” to professional chefs and foodies alike focussed on Sous Vide cooking trends. We have just started providing hands on training courses and chef support through our development chef Chris Holland on this important culinary technique. All of this makes sousvidetools.com perfectly placed to find a solution to your sous vide cooking or vacuum packing requirements. If you’d like to know more about our equipment and services and how we support aspiring talented chefs, please get in touch. The SousVide Supreme is the world’s first sous vide water oven designed to bring the incredible sous vide cooking technique to home cooks and restaurants at an affordable price. We’ve all seen them at it on Masterchef, now you can become an expert using the SousVide Supreme Water Oven. With a wide array of cutting edge products, Philip Preston, President of PolyScience® is inventing culinary technology that helps home chefs to find new ways of expressing their creativity. Its core competence is in designing and manufacturing extremely precise temperature control solutions. Anova® makes the world's best reviewed and best-selling sous vide device, the Precision Cooker - a device that makes it super simple to cook like a pro. Its software can be found on the Apple and Android app stores. At sousvidetools.com our portfolio of products offers everything you would need for sous vide cooking commercially or domestically, from sous vide water baths, thermal circulators, vacuum sealers, vacuum packing machines and vacuum pouches.